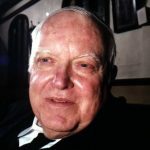 On Thursday, January 10, 2019 Raymond Armstrong Heily passed away peacefully at his home in the company of his daughters and caregiver. He was 85 years old. 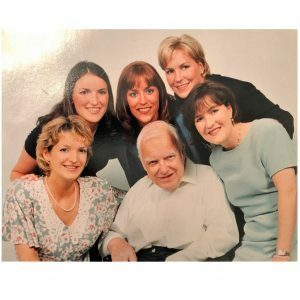 Ray will be fondly remembered by his wife of 54 years, Suzanne; their beloved children Theresa (Peder), Erin (Ed), Mary Pat, Shannon (Kyle), Meghan (Cory); his longtime caregiver Mimi Infante and her staff; his 12 grandchildren; his sister Kathryn Heily; his nieces, nephews, godchildren; parishioners and numerous friends. In celebration of Ray’s life, a funeral mass will be held at St. Anne’s Catholic Church in SE Portland. Rosary will begin at 10:15, Mass at 11:00, reception to follow. He will be buried at Mount Calvary Catholic cemetery on Saturday morning. 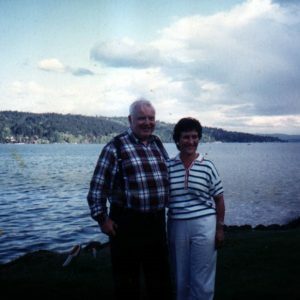 Raymond was born in Seattle on May 7, 1933 to Raymond Coyne and Mary Margaret Armstrong Heily. He valued education and the lifelong friendships that came from his time at Seattle Preparatory High School, University of Washington, and Santa Clara University. He was a proud member of Alpha Tau Omega fraternity and the UW crew team. His love for his Husky’s fueled many weekends. When he wasn’t watching the Dogs he cheered for the Seahawks and the Mariners. Ray enjoyed a 30+ year career in sales with Continental Mills, commonly known for their flagship product Krusteaz baking mixes. 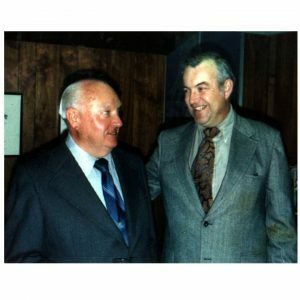 During his career he expanded the company’s presence in Washington, Idaho, Montana, Utah and Alaska. He loved to talk to restaurant owners about their biscuits. (Which embarrassed his young daughters to no end.) Ray parlayed servicing his territory into family trips to Orcas Island and a number of individual outings with his girls. In the fall of 1964, a Christian young adults group from Seattle came to Portland for a dance at Columbia Edgewater Country Club. It was there that Ray met Suzanne Scott. The next night after a UW/OSU football game they met again. Intervening “old maids” talked up Ray to Sue so when he asked her out, she accepted. 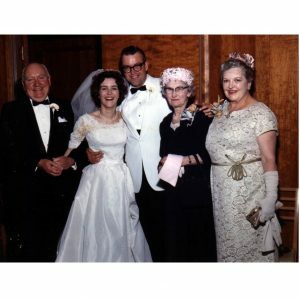 His wit won her over and 6 months later they were married at Sacred Heart Catholic Church in Portland on May Day 1965. Their daughter, Theresa Marie, was born in April of 1966. In true Irish fashion, Erin Kathleen was born in June of the following year. Next came Mary Patricia, Shannon Kay, and Meghan Clare all within the first decade of marriage! Of all of Ray’s roles, his favorite was that of Daddy. He was putty in the hands of his daughters, taking them to school, sporting events and activities – often stopping at Dairy Queen for a hot fudge sundae (known to the girls as “HFS”). 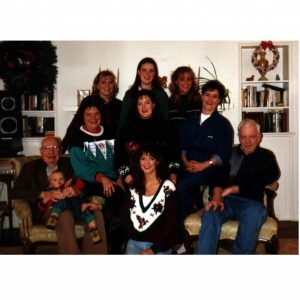 Tragically, Ray suffered a massive stroke in September of 1990 that left him partially paralyzed. At 57 years old, he was an odd fit for traditional assisted living. After a number of facilities, his family found Providence Elderplace and Pleasant Adult Foster Home in Portland. These facilities allowed Ray the care, support, and therapy he needed. 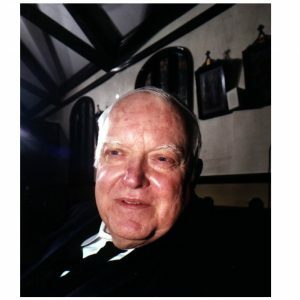 Over time they figured out his stubborn Irish ways and learned to appreciate his offbeat humor and insight. A true partnership with the medical staff, care teams and St. Anne’s faith community supported Ray for the past 16 years, for which his family is eternally grateful. When you think of Ray, do so with a twinkle in your eye, a joke on your mind, a prayer on your breath and a song in your heart. Oh, and an Olympia beer in hand. Pip-pip Raym-Boy!